THE BOTTOM - Ditched airplane is owned by FEDEX and operated by Mountain Air Cargo. It is an American cargo airline based in Denver, North Carolina, USA. It is a major contract carrier for FedEx Express, operating in the eastern USA and the Caribbean. Previous operations in South America have been discontinued by FedEx who now operate jet aircraft in that area. Its main maintenance facility is at Kinston Regional Jetport. 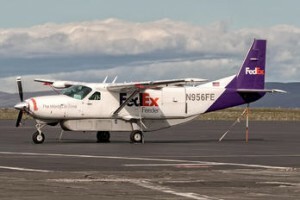 All of the ATR and C208 aircraft operated by Mountain Air are owned by FedEx Express, and are operated by MAC on a "dry lease" basis.